refreshes your home of the dirt and debris build-up that can accumulate over the course of a year. Typically, once to twice-yearly cleaning can be enough to keep your siding looking its best. are or are not specific recommended products. will help you clean your home without damaging nearby landscaping. cup of TSP and a gallon of water. three panels of 10-foot sections. avoid using concentrated chlorine bleach, nail polish remover, furniture polish, or liquid grease removers. cleaners, such as steel wool. 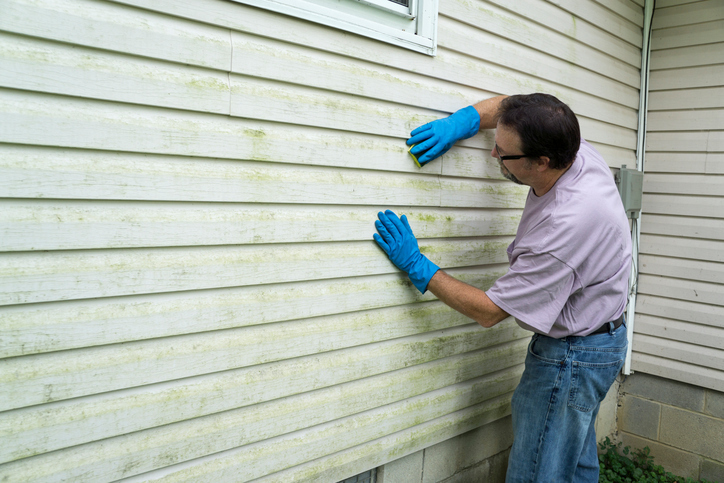 may direct up and under the siding, which could lead to hidden mold and mildew. instance, the professional team at Allied Siding and Windows can be an excellent resource. For more information and ideas on selecting the best siding for your home, contact Allied Siding.